These adorable reborn doll kits just keep coming don’t they. And this new one is no exception. 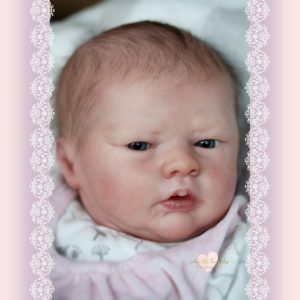 The Wendy 18″ inch Reborn Doll Kit, makes a realistic baby once completed. This kit has full arms and legs making a baby created from this kit perfect to dress. When you buy this kit it comes unpainted and ready to reborn. Wendy measures around 18″ inches long when completed, with a head circumference of approximately 13.75″. Photos are only an example of how your finished baby could look.